This is an intermediate level class. 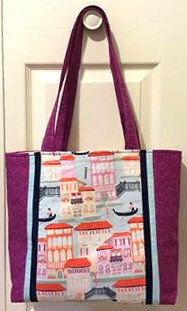 In this class you will learn how to make a quilted bag with lining and 6 pockets! All classes are final sale. No store credit or date transfer will be given. Student must bring their own machine. Classes are for people 18 years of age or older. Please check with store for younger students. Save 10% on class supplies, or become a member and receive 15% off.